Śaraṇāgati Gādya, the poetic work of Śrī Rāmānuja Āchārya is a commentary on the principle of the Dvaya mantra, which declares the method and goal to reach the nature of Brahman. To attain this, there are two ways indicated by the śāstras, one Bhakti Yoga and the other Prapatti. By either of these means, the redemptive grace of God can be secured. Bhakti Yoga is difficult to perform for ordinary mortals, for; it means constant one-pointed meditation of Brahman to be practiced by the devotee during his whole life time, accompanied at the same time by the performance of the usual rites, sacrifices, etc. it is comparatively more easy and can be performed by any person who has learnt about it from his Āchārya and is desirous of Moksha. In ancient times Prapatti was kept as a close secret. Hence, in Brahma Sūtra, Prapatti is mentioned but not clearly. For the same reason, Śrī Rāmānuja also did not wish to refer to it explicitly in his Śrī Bhāṣya and Gītā Bhāṣya. Whatever controversy there may be as to whether Śrī Rāmānuja advocated Prapatti in his other works or not, there is no doubt that he has unmistakably indicated in his Gādya traya the path of Prapatti as a sure and direct means of salvation. So, while the other works of Śrī Rāmānuja are to be studied to learn from them exactly what are the tattva and Puruṣārtha, but to know what is Hita, it is necessary to complete the study the Gādya traya, for, it is only then we can understand Hita, (Prapatti), its nature and how it is to be performed. Śaraṇāgati Gādya is in the form of a dialog between Śrī Rāmānuja and Śrī Devi (Maha Lakshmi) in the first instance, then between Śrī Rāmānuja and Śrīman Nārāyaṇa. and that Śrī Devi and Her Lord actually spoke to Rāmānuja and granted him the boon sought in his prayers as seen from the dialog in Śaraṇāgati Gādya. It is appropriate therefore that, as is usual with him, Śrī Rāmānuja should in his Śaraṇāgati Gādya, sing the glory and beauty of His divine personality, the brilliance of His wonderful ornaments, and the mighty powers of His weapons. He is also adored as the consort of Śrī, Bhūmi and Nīlā Devīs. He has also for His attendants Nityās like Ādiśeṣa, Garuda and Viṣvaksena, and the Muktas in Vaikuṇṭha, His blissful abode. Śaraṇāgati Gādya is the exposition of the Dvaya Mantra, which has come to us traditionally. This is the major Gādya, while the other two (Śrīraṅga and Vaikuṇṭha Gādyas) stay as supplementary Gādyas. This work is one of great religious importance to the followers of Śrī Rāmānuja, who believe in his philosophy of Viśiṣṭādvaita." the veritable Ocean of compassion. (Thou art) my Mother, indeed the Mother of the whole world. and worthy of the natural form and qualities of Bhagavān Nārāyaṇa. Śaraṇāgati Gādya is a commentary on the principle of the Dvaya mantra, which declares the method and goal to reach the nature of Brahman. In this context, it will be noticed that the Mantra (Dvaya) starts with the mention of Śrī, who is full of (maternal) love and who is the (Puruṣākāra) mediator for approaching the Lord, the almighty Father. As He, like all fathers, is sometimes harsh and not easily approachable, She is to be propitiated first. Hence the Gādya starts with the exposition of the words, "Śrī" and "Śrīmat". Śrī must be approached and Her affectionate permission taken from Her by praying to Her for saving the Soul and also for being made fit for performing the method (i.e. )., Śaraṇāgati for achieving the goal of the Soul. - Śrī Lakṣmī is closely associated. Śrī Lakṣmī is characterized by the qualities of the Vigraha, such as beauty, etc. The words Aiśvarya and Śīla are used to denote collection of qualities implied by rulership and accessibility. She represents a greatness with no limit or boundary (i.e. ), "with nothing above". Śrī Lakṣmī is ever present with, and not separated from Her Lord, so that She may ever be ready to see that the faults of the erring souls may be veiled from His notice. Unlike Paramātma, She is not unapproachable, nor affected with any faults. Lakṣmī is the anointed queen; hence She is One whose wishes cannot be transgressed (easily ignored by the Lord). Rāmānuja includes himself among those to whom She is a Mother, as well as persons with no other resource to go for refuge. Thus far, the prayer is to Śrī Devi. Why this Śaraṇāgati to her? so that it may become well and truly performed with all its aṅgas (formalities) and be continued, without interruption till the goal of Puruṣārtha is reached. - this again promoted by the sincere one-pointed and ever intense para bhakti (i.e., the desire for His Vision), para Jñāna (direct perception of God), parama bhakti(the longing to have that perception continued for ever) --Bhakti at the lotus feet of the Lord. (This prayer to Śrī is acceded by Her). (So shall it be Thus done, All is attained). I take shelter unto Thine lotus feet, Oh Śrīman Nārāyaṇa! - a form full of such and a whole treasure of excellences. kind disposition, like that of a cow to its calf. (even the smallest amount of worship done to Thee). and other precious and innumerable ornaments. exceed all others in power and force. such as glory, rulership with innumerable auspicious attributes. possessors of similar noble attributes. endowed with power to direct and maintain. --such is the Vaikuṇṭha of Thine, Oh Lord! bhogasthānarūpa nikhilajagadudaya vibhava layalīla ! they always follow only Thy wishes and the dictates of Thine. satyakāma! satyasaṅkalpa ! parabrahmabhūta ! puruṣottama mahāvibhūte ! apārakāruṇya sauśīlya vātsalya audārya aiśvarya saundarya mahodadhe ! anālocitaviśeṣa aśeṣalokaśaraṇya ! praṇatārtihara ! satyasaṅkalpa! sakaletaravilakṣaṇa! arthikalpaka! āpatsakha! śrīman! without any preference (as to race, colour or caste). Thou removest the distress of those that resort to Thee. Thou art the ocean of motherly affection towards Your devotees. of all the groups of beings. all the movable and immovable things of the Worlds. the One and the only Refuge (with no others to go for help). 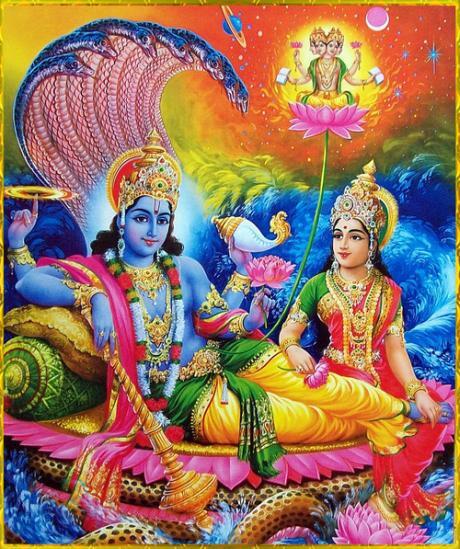 I seek Thy protection and surrender Myself unto Thine lotus feet. -- Renouncing my Father, Mother, Wife, Children, relatives, Friends, even my teacher, precious stones, wealth and goods, my field, my house, etc., all desires, and actions relating to them, as well as Kaivalya. I prostrate at Thine feet, which bestrode the Three worlds. Oh Lord! I surrender myself unto Thee. So also My learning, My wealth. Indeed Thou art My All. moving and unmoving, worshipped by the world. Thou art greater than the greatest. There is no one bigger than Thee in all these three worlds. Oh! Thou of Matchless glory! I pray unto Thee, the adorable Master. affectionate as to a Dear Person. Thou alone can save me. whether connected with acts started or not so started. Forgive me, Oh Lord, my (poor) knowledge or action, however, perverse. I am Thy servant. I have surrendered myself unto Thee. - -in body, senses and objects of enjoyment. So also is he dear to Me. but of them the Jñānī the wise is My inner Self. rests on Me, as the Supreme Goal. He is a Mahatma, rare indeed to find. He obtains that supreme devotion to me. with constant Para Bhakti, Para Jñāna and Parma Bhakti. arising out of the experience as stated above. or committed unto Me extremely grievous wrongs unforgivable. i.e., Ahaṅkāra which is the cause and result of the above sins. which are the cause and result of your sins and of Ahaṅkāra. You may be connected with Prakṛti (the cause of the above All). all these due to connection with Prakṛti. However, you have somehow or other uttered the words of Dvaya mantra. to Para Bhakti, Para Jñāna, Parama Bhakti and their causes. My Vibhūtis and also of Moola Prakṛti, which is My playground. i.e., being in ever service to Me and be controlled by Me. you will be My servant for ever and ever as stated above. Take it that you have become My servant as described above. You shall reside in Śrīraṅgam till the body falls to the ground (death). you will at once attain the privilege of constant and ever service (as stated above). (Assurance by the Lord) Entertain no doubt about it. "I have never uttered nor shall I ever utter a falsehood". Rāma never speaks in two voices. "Have I not already given the assurance?" I grant him shelter and protection from all evils. "Renounce all dharmas and surrender unto Me only. I shall save you from all sins. Do not grieve". True realization and attainment of Me".